Now doubt when one sees an orange box, there is only one store that comes to one's mind: Hermès. Some of you may know that Hermès started in 19th century and one would have to assume that beautiful shade of orange had always been synonymous with Hermès. But actually Hermès did not adopt the color orange as its signature color until after World War II. After the war, Hermès was redoing their bags and boxes. Somehow no one wanted orange dye thus there were plenty of supplies. This is how Hermès ended up using the color orange: because no one wanted it! 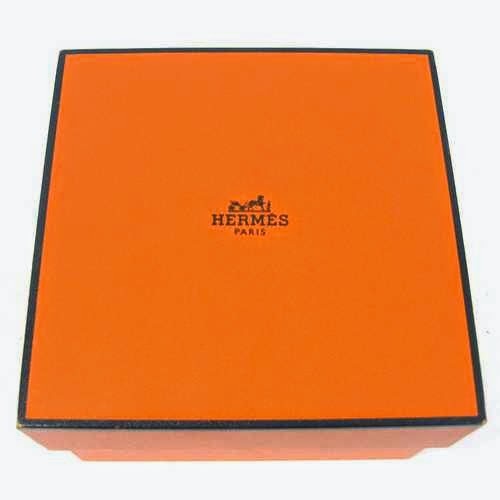 Or course today, an orange Hermès box signifies elegance, handmade, and exclusivity.